The new year is swiftly approaching, and the State of Maryland will finally be opening dispensaries all over the state, many around the DC beltway area. Maryland officials on Friday announced the 102 businesses who have received preliminary authorization to sell the state’s first legal medical marijuana, bringing the long-awaited program a step closer to fruition. The Maryland Medical Cannabis Commission said patients could be able to begin legally purchasing the drug as soon as this summer, or even in the early spring as long as things go as planned with follow up licensing. Patients will use their recommendations to buy cannabis and to treat conditions including seizures, anxiety and side effects of cancer or chemotherapy. Lawmakers first approved medical marijuana 3 1/2 years ago, but the program has been beset by various delays. The commission last month gave preliminary authorization to dispensaries in each of the 47 state Senate districts, choosing from a pool of more than 800 applications scored by outside experts and with names of the companies and people involved redacted to avoid bias. The agency announced the identities of the winners and their locations on Friday. 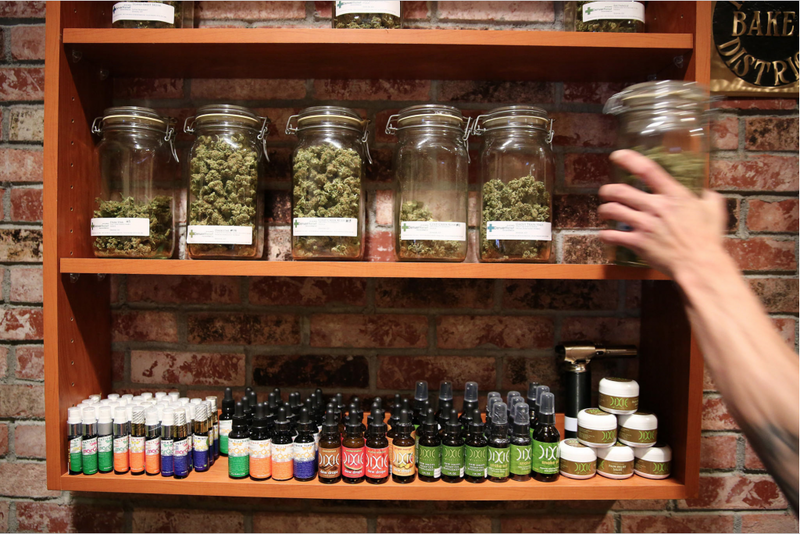 Costs associated with opening a dispensary in Maryland include a $4,000 stage-two application fee, an $80,000 licensing fee — which must be renewed every other year — and an estimated $500,000 for initial build-out and start-up costs for businesses. The businesses must pass additional vetting that includes financial and criminal background checks of owners and inspections of the facilities before marijuana can hit the shelves. Regulators in August approved 15 companies to grow marijuana and 15 companies to process the drug into medical products as well. The facilities will soon start to grow so that the medicine is ready for when dispensaries open. Dispensaries are not yet opened in Maryland, nor can you go to DC at this time to purchase medication if you have a recommendation. However, you can use your Maryland recommendation in Nevada(Vegas), Michigan, Arizona, Maine, and Rhode Island. The great news is that Washington DC will be opening up their dispensaries for Maryland recommendation holders! DC Council passed a bill in November allowing patients who have Maryland recommendations to purchase at their dispensary. The law will take several weeks to go into effect, but between DC Dispensaries, and Maryland dispensaries opening up, Maryland medical marijuana patients have a lot to look forward to in the next few weeks to come! Here is a list of the Maryland dispensaries that will soon be near you! Maryland Announces 102 Medical Marijuana Dispensaries!